Flat tires are a common occurrence for every vehicle owner. At some point, you will probably have to deal with one, especially if you are looking to buy used or junk cars for parts. Fixing it is easier than calling a junk car removal Portland service. Luckily, flat tires are one of the more simple issues to deal with, and getting them fixed should not cause you too much of a headache. 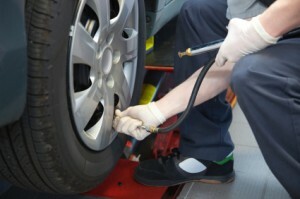 Since flat tires are so common, it is good to know the main causes of them. If you are aware of the different causes for flat tires, you can work to avoid situations that put you at risk. These are some of the more common causes for flat tires. Debris on the road is a common occurrence, especially if you are in an area where there is a lot of construction going on. Sometimes, the workers cannot get everything cleaned completely, meaning there are screws, nails, and other objects on the road that could pose a threat. Whenever possible, you will want to drive around the debris to avoid any issues, but sometimes you will get a nail no matter what you do. Luckily, these are fixed easily with a patch. The valve stem can sometimes start to leak if there is excess dirt inside the valve. It can also start to leak due to age, as older valve stems are less durable. It may just get cracks in it from normal wear and tear, causing the leak and leading to a flat tire for you. You can usually replace the valve stem and get a good fix. Tire bead is the sealing surface of the tire, and sometimes air will leak from the tire because the sealing has weakened. You can check for bead leaks by spraying your tire all over with soapy water. Look for any bubbles appearing on the surface. If you see bubbles, there is a bead leak that needs to be addressed. While it is not pleasant to think about, there is a chance that a flat tire was caused by vandalism. People sometimes slash tires, causing them to go flat and giving you a problem to solve. Before accusing anyone, be sure you know the cause of your flat tire. You can usually still fix tires that have been vandalized, but you may need the help of a professional to get them back on the road without any other trouble.